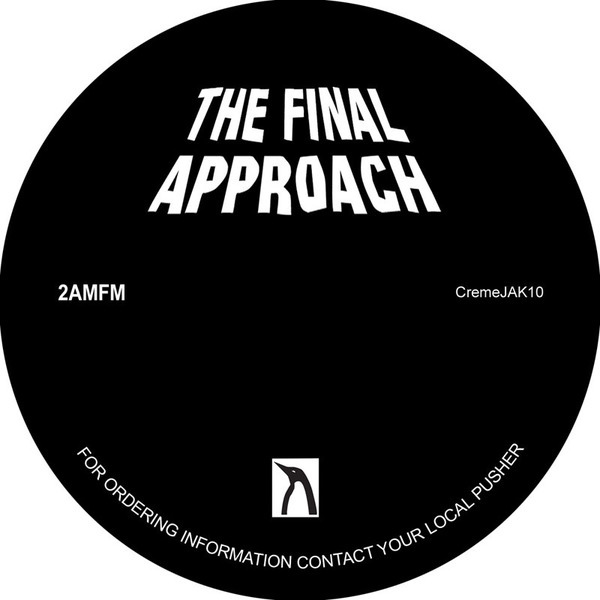 Deep end jackers from 2AM/FM aka Tadd Mullinix (dabrye!) & D'Marc Cantu for the excellent Creme Jak label. As with all their releases, these are stripped down and functional, yet packed with distinctive dancefloor character. 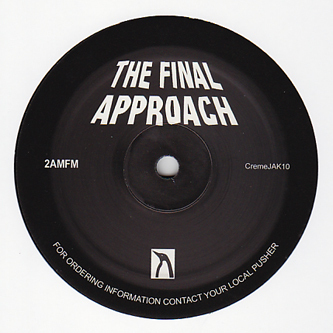 'The Final Approach' combines Bam Bam style vocals with a truly hypnotic bassline and some cold-wave fusion synthline all with a frosting of chilly warehouse darkness. 'Landing Dock Two' is more experimental, perhaps suitable as a dramatic intro track with its spiralling arpeggios and Drexciyan vocals. Real heavy jack music!